Keely O’Connor is a 12-year-old student from Deferiet, NY, a very small town located approximately 45 minutes from the Canadian border. In her 12 short years she has become quite an accomplished young artist. From the time she was old enough to pick up a crayon, she has been drawing. 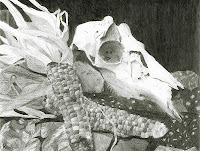 Keely was selected as a Top Ten Winner for the Spring 2012 art contest for her piece, “Skull & Corn“. This means that her art was one of the ten best in the United States and Canada for her age division. Keely entered her first art show in 2009 at the Jefferson County Fair and took home the 1st place blue ribbon. 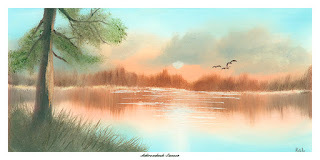 In 2010, she once again entered this yearly contest, only this time she entered two of her paintings, and took home 1st and 2nd place. Keely accomplished her goal of winning Best of Show for a painting in 2011. At just 11 years old, Keely won against all other entries in the Youth Division, which is open to all artists up to 18 years of age. In the fall of 2011 Keely received permission to enter one of her drawings in the 63rd Annual North Country Art Councils Fine Art Show. T his exhibit included 248 pieces of work from 77 artists. Keely was awarded 1st place for her drawing, and was the only child in the competition. Keely was approached early in 2012 by a local physician who wanted to commission a portrait from her. This was her first commission, since then she has been commissioned for another. 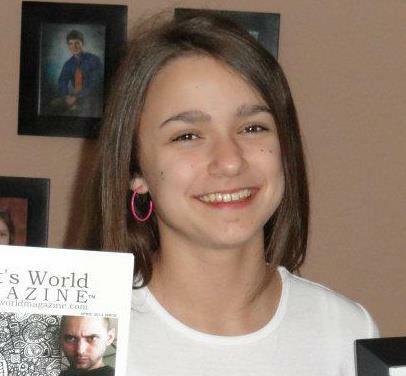 In April 2012, one of Keely’s pieces was chosen as the People’s Choice winner for Artist’s World Magazine, and she was featured on the cover. Keely took 1st place in the 2012 Jefferson County Fair for the same drawing she entered into our contest. She also took 2nd place for her sculpture. Keely enjoys painting, sculpting and drawing. Nature scenes and animals are her loves right now. Keely takes private art classes with Bob Renaud, the local high school art instructor and a renowned artist in his own right. Keely looks forward to attending art school in the future, and to becoming a professional artist. Congratulations, Keely, on all of your many accomplishments! Keep up the incredible work and we hope to see more of your talent in the future! Danli Liang is a 16-year-old senior at La Jolla Country Day School in California. Not only does Danli’s talent lie in art, but she is also a very accomplished pianist; she has won 1st place internationally and was the first place winner in her state piano competition. Not only that, but she has also debuted with several orchestras. Danli was selected as a Top Ten Winner for her piece “Self-Portrait.” This means that Danli’s art was chosen as one of the ten best in the entire United States and Canada for her grade division. We asked Danli to share the inspiration for her winning piece as well as her aspirations for the future. “I’ve always had a passion for creating art with pencils. When I was younger and not overloaded with schoolwork as I am now, I spent whatever free time I had drawing. Every time I finished my homework and completed my piano practice session earlier than usual, I would grab a piece of paper from the printer and start to draw with a mechanical pencil, usually for hours at a time. I mostly drew portraits — whether they were faces of tween celebrities, my friends, or just random people, I took delight in observing each person’s facial features and transferring the details as realistically as possible into my own creation. The entire process was addicting — once I sat down in my chair and began drawing, I couldn’t get up until I finished the piece. My mind became so centered on the drawing that I was oblivious to how much time had passed. Despite the exhausted tension I always felt when I finally got up from my chair and viewed the final product from afar, it was always worth it. If I was successful at making it look realistic and photo-like, I was happy, and the hard work had culminated in self-satisfaction. Thus began my journey into the world of hyperrealistic style. After seeing the passion I had for drawing, my mom set up a little drawing studio in our house for me, which included proper art utensils (no mechanical pencils!). Having always been a self-taught artist, I took my first formal art class (Studio I Art) when I entered high school, where I continued to develop my skill in hyperrealism and discovered the new challenge of drawing clothing folds. When I became a junior and took AP Studio Art, I completed a 12-piece concentration on portraits of myself as a high school student. This time, however, each portrait included not just my face but clothing and figure as well; I wanted to emphasize the intricate details of both the human face and clothing folds, elements that made each piece take several 10 hours to complete. “Self Portrait,” is one selection from my concentration. 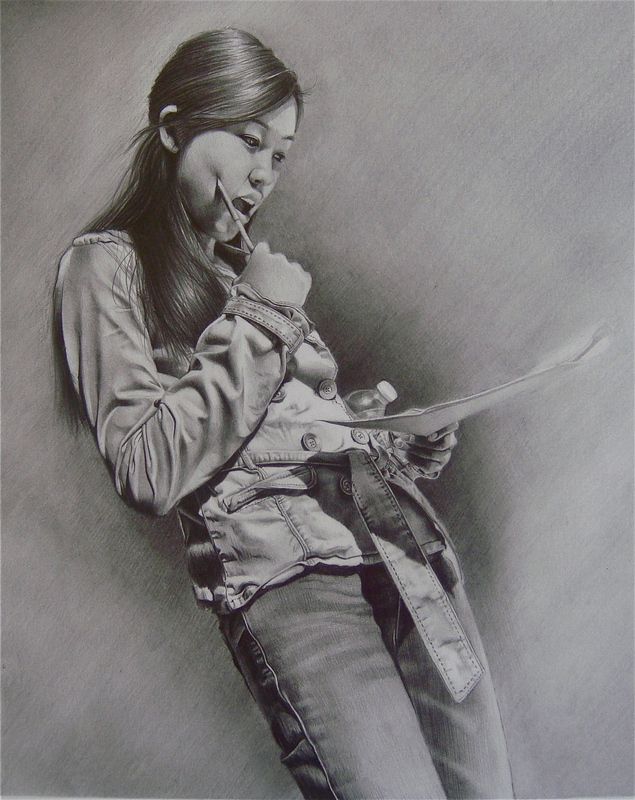 It is a pencil drawing that represents myself as a typical high school student “reacting from a grade she got on a test.” I like this drawing in particular because of my “surprised” facial expression and the many small, distinct wrinkles of the clothing. Congratulations, Danli, on not only being selected as a Top Ten Winner for the spring 2012 art contest, but for your incredible accomplishments with the piano as well. We wish you the best in your bright future and thank you for inspiring others with your beautiful talent.